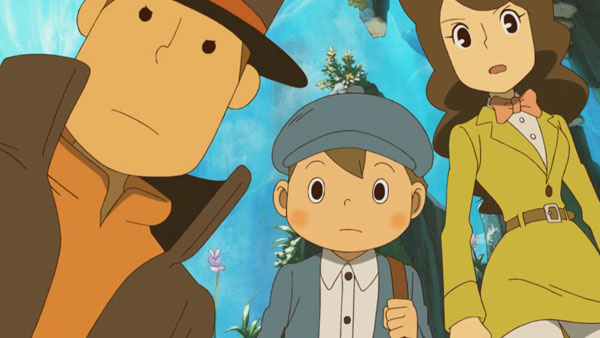 Professor Layton and the Azran Legacy is scheduled to arrive on next month in Europe, while North America will be able to embark on the adventure at some point in 2014. Being a PAL region, it was never really in doubt gamers in Australia and New Zealand would receive the highly anticipated puzzler at around the same time as European players and sure enough Nintendo of Australia has confirmed both the physical and digital versions will release a day later on 9th November. Presumably it's catching a flight over on the 8th. Professor Layton and the Azran Legacy sees the wise gentleman and his trusty companions Luke and Emmy attempt to solve the riddles of the Azran civilisation. It's the last game in the current trilogy of titles but the series is set to continue as what is currently known as Layton 7 has already been revealed by its developer Level-5. The top hat-wearing protagonist will also make an appearance in Professor Layton vs. Ace Attorney, which will be coming to the 3DS in early 2014. Are you looking forward to solving more puzzles in the latest adventure? Let us know your thoughts on it in the comment section below. Bah. I was unable to play The Mask of Miracle because of the fact they don't have English versions here in Belgium. Since when do they translate these games for each country separately? I will be sad when this series ends... But I can't wait! Why the heck is this game not coming to America in 2013? Oh well, I'll quit complaining. I guess the Australians finally get a game before NA does. Man you Europeans got it good this year especially with that new Zelda 3DS bundle! Oh god noo! How dare you remind me of that Layton 7....thing. As an American, I'm a bit blue. But a true gentleman must be patient! I've got quite enough to keep me busy with Rune Factory 4, Hometown Story, Pokemon X, and Legend of Zelda, that I might not have played this until 2014 anyways!